We’ve talked about the Westminster Bag over and over again, yet we’re not finished. 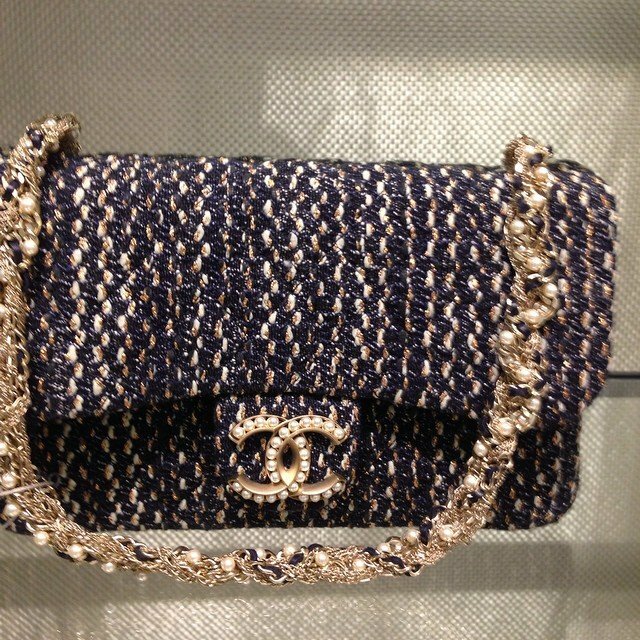 And so, we would like to introduce the Chanel Tweed Westminster Flap Bag. By now we’ve already shared a lot of information. Let’s us re-cap; the Chanel Westminster Flap Bag for the Spring Summer 2015 Collection comes in several more styles like printed canvas, lambskin and tweed. The beauty lies in the chains – it’s sophisticated and mixed with pearls, and feminine. For the new collection, you can choose between black and golden hardware (we mean the chains). The CC logo is embellished with more pearls, it’s like the gorgeous sister of the Classic Flap Bag. Truly a timeless piece and a must have. For those looking for more, Chanel has another Westminster Flap Bag in store; it’s entirely made in Tweed, which gives the design a casual-chic look. It’s the ‘must have’ for the summer.